This is HTML CSS version of Flat Design UI Components which is designed by GraphicBurger. 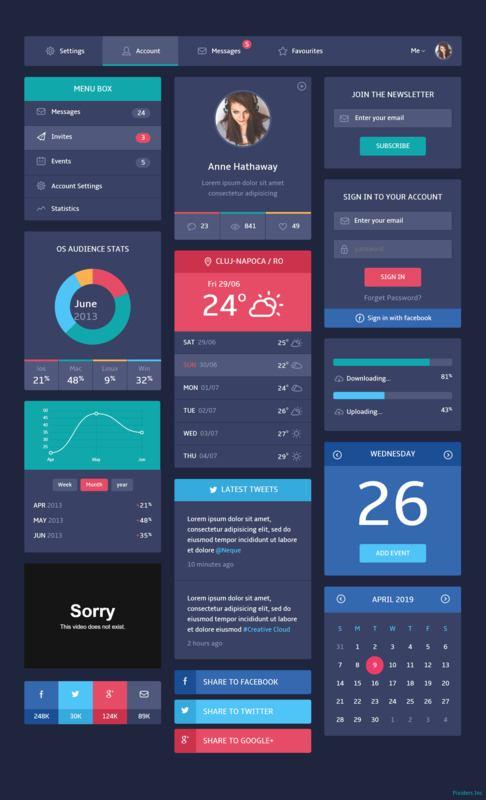 The UI kit includes a set of beautiful components which can be used to create websites and applications. If you want PSD file of the design, the link for the source is provided below. The design comes in three different versions web templates - web, Smartphone and Mobile.